2019 Parking Permits are now available for purchase! The Pay Station is located at the entrance to the commuter parking lot closest to Ayers Ln. If you wish to park in this lot, you MUST pay at the Pay Station. Parking is enforced 24 hours a day, 7 days a week. Note your spot number as you exit your vehicle. You will need to enter this number at the Pay Station. Please take your receipt with you - it NOT necessary to put the receipt in your vehicle. The Pay Station accepts $1 dollar bills and $5 dollar bills. Please note that no change is issued at these machines. You will receive a credit voucher which is redeemable at Little Silver Borough Hall. The Pay Station also accepts credit and debit cards. American Express credit cards and gift cards are not accepted. Parking fees apply 7 days per week. 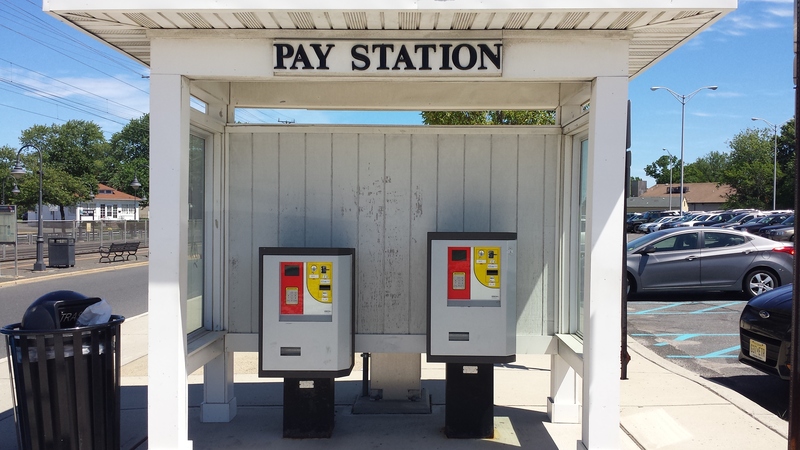 Please call 732-747-5900 if you are experiencing a problem at the Pay Station. The smaller parking lot on the the Oceanport Ave. side of the railroad tracks is reserved for resident parking permits ONLY. Both Permit holders and Daily users are to use the larger lot located off Ayers Lane. Parking is on a first come basis. Both lots are enforced 24 hours a day, 7 days a week. IT IS THE RESPONSIBILITY OF THE PERMIT HOLDER TO BE SURE THAT THE PERMIT IS PROMINENTLY DISPLAYED ON THE REARVIEW MIRROR WITH THE PERMIT NUMBER CLEARLY VISIBLE THROUGH THE FRONT WINDSHIELD. IF THE PERMIT IS NOT VISIBLE, A SUMMONS WILL BE ISSUED. 2019 Passes are NOW AVAILABLE for purchase! Applications for Parking Permits are available at the Little Silver Train Station and at the Little Silver Police Department. Kindly mail your application along with your check or Money Order made payable to the Borough of Little Silver. Please include a self-addressed stamped envelope for the return of your Permit. Any questions regarding Parking Permits should be directed to the Parking Coordinator, Katy Inacio @ 732-747-5929.